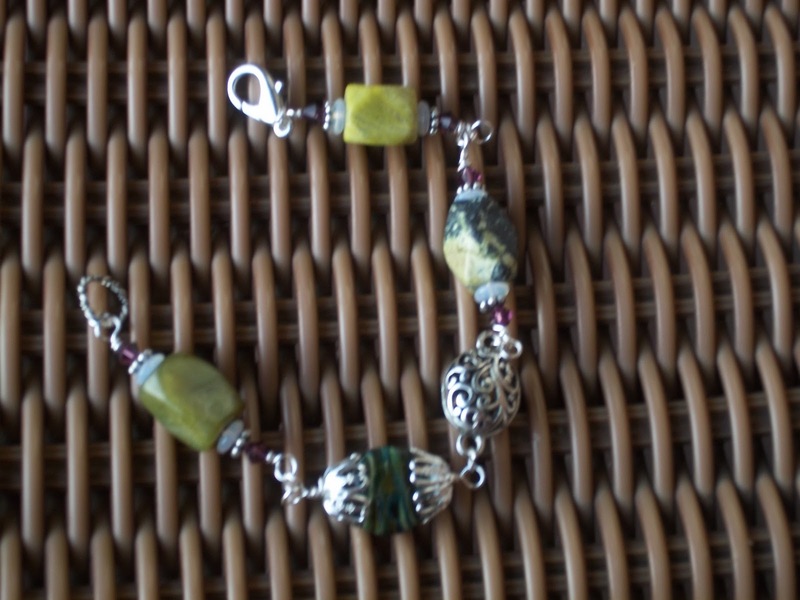 I had enough soup ingredients from my wonderful partner, Marianna, to make this sweet bracelet from the leftovers. I love this almost as much as the necklace that was my official piece for the reveal, and I've worn it quite a bit since finishing it. 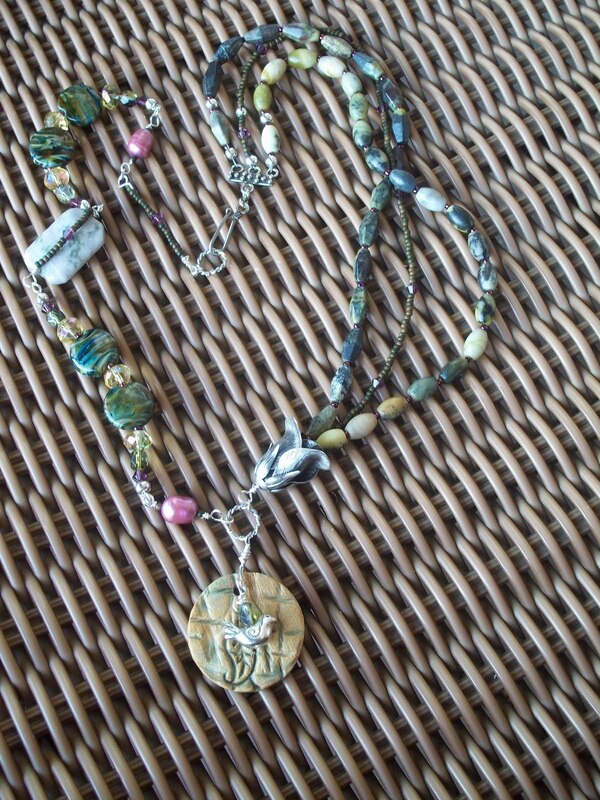 Look how wonderful Marianna's lamp work bead looks with the sweet sterling bead caps that I added. It really paired well with the sterling connector bead that was part of my soup ingredients. In fact, all that I added out of my stash to this bracelet were the bead caps, the daisy spacers, the purple crystals and the sterling lobster clasp. I wired everything together easy-peasy and there you have it. More Yummy Soup! Welcome to the Bead Soup Blog Party!!! I was so happy to be paired this time around with Marianna Boylan of the blog Pretty Shiny Things. 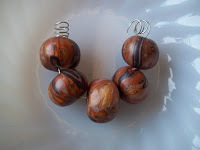 She is a talented bead maker and jewelry designer who runs the etsy shop Star Girl Jewelry. 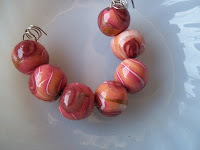 I don't design with lampwork beads too often, so I was beyond thrilled to be partnered with a lampwork artist. Just look at the lovely things that she sent me. 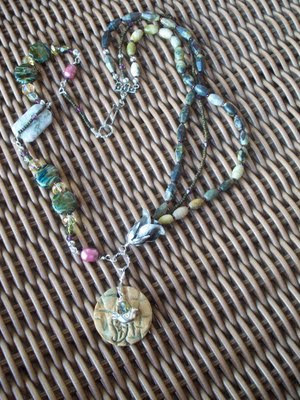 There is a wonderful set of Marianna's lampwork, a terrific ceramic pendant, a cute little bird charm, a sterling connector, pearls, jasper, twisted silver rings, crystal bling and a wonderful three-strand silver clasp -- deliciousness, I tell you. 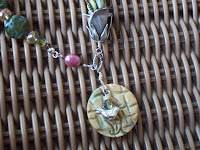 The minute I opened the package and saw the pendant and little bird, I had an idea for the focal piece of my design. 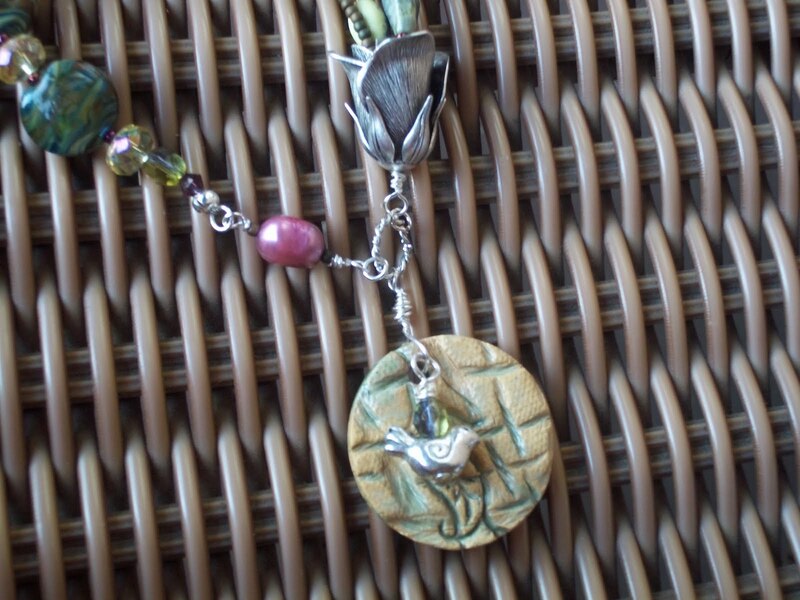 I had a lovely silver rose bead that my dear friend, Amy, had given me in my stash and the minute I saw it, an idea for the design for my piece came to me. In fact, I immediately set to work to make the pendant. I knew what I wanted to do with the rest of the design. I immediately went to my stash and pulled some lovely mat seed beads in moss greens and some pretty deep pink metallic seeds. I also raided my stash of crystals for some tiny purple bicones and some really pretty golden yellow rondelles. Then I hit the box of pearls and pulled some really pretty magenta fresh water pearls that I've been wanting to use. 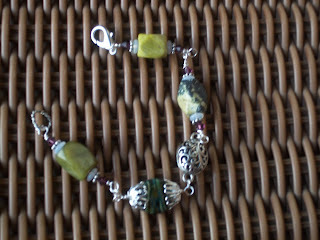 Then I hit the gemstone box and pulled all of this yellow turquoise that I bought on sale and viola. Without further explanation, I'll just show you my piece. I am very proud of this necklace. In fact, it is the most ambitious piece that I've ever made, using all of my skills and then some. I put my heart and soul into it and hope you all enjoy. Now, go and visit the other wonderful designer's blogs who are participating in this wonderful party. Start with our wonderful host, Lori Anderson and make your way through the entire list of over 300 participants here. Enjoy! 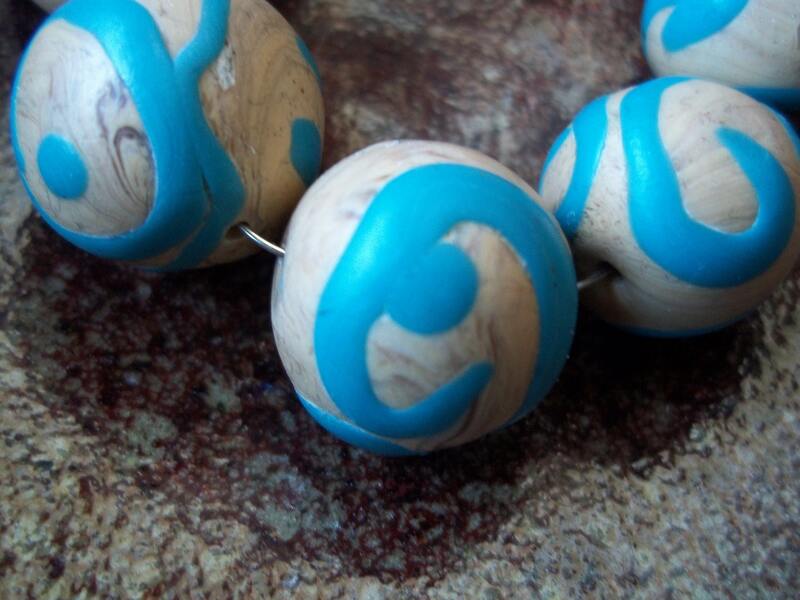 I just love these happy beads. Check them out on Etsy. 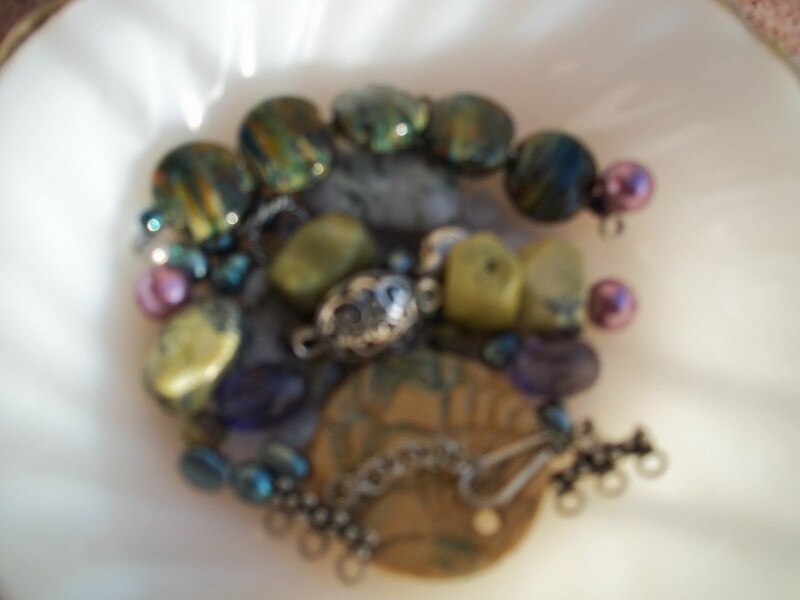 All proceeds from your purchase will be donated to Beads of Courage. Have a wonderful weekend, everybody. 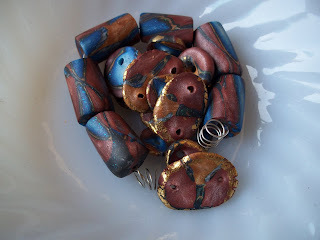 I know what I'll be doing in my free time: Bead Soup! Won't you join the party? There are over 350 designers from all over the World participating in this round of Lori Anderson's semi-annual blog hop. This is going to be some party! Here's hoping that all of my American friends enjoy their long Labor Day holiday weekend and that we all take the time to celebrate all of the treasures in our lives. I am lucky to have a four-day weekend and will be home enjoying my family, finishing up my bead soup pieces and making new beads. I will leave you with this, Buried Treasure, my newest listing on Etsy. Have a great weekend everybody. See you all next week! 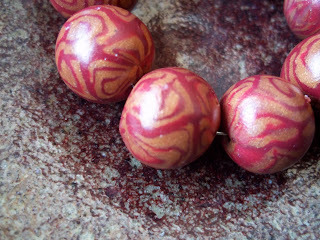 New bead sets just listed in my Etsy shop: Juicy Peaches and Coffee Swirls for your consideration.